When trying to make the perfect soup, the most important thing apart from the right ingredients, timing, temperature, is the right type of pot. The material used in the construction of the pot will affect the temperature. For example, a stainless steel or metal pot has good conductivity, making the soup evaporate rapidly. Whereas a La gourmet ceramic toughened Claypot has good insulation properties, allowing you to stew the soup over a longer time period slowly on low heat. Stewing the soup slowly in a La gourmet toughened Claypot is the secret to improving both the aroma and the tastiness of the soup! Rule 1: Use a quality toughened claypot. Truly Oriental Claypot by La gourmet is an excellent choice. Rule 2: Use the Right ingredients for the soup you want to stew. Put all the ingredients you want into cold water in the pot before boiling. Rule 3: Once the soup boils, reduce heat and stew the ingredients over low heat in the claypot. The nutrients and sweetness will be drawn from the ingredients. Whilst the insulating body of the claypot will reduce evaporation, keep the soup warm and improves the aroma of the soup. To serve place the La gourmet Truly Oriental Steamboat Claypot with the soup onto the portable induction stove (make sure you have a silicon or suitable pot holder to hold the induction stove). This will keep your soup hot and aromatic. Scoop and serve onto bowls. Replace the cover, and the soup will retain its heat and aroma throughout the dinner. *Crafted using traditional ceramic artform and advanced modern technology. *Fired at very high temperature of 1300°C which result in a durable claypot that is toughened to withstand extreme temperature changes from high heat (500°C) to sudden cold (20°C). *Can be subjected to high acidic or alkaline usage. *Eco and environmental friendly cookware. *Suitable for use on gas stove, microwave, ceramic top, and oven. *Very hygienic – safe and excellent for healthy and nutritious cooking. *Original and natural flavour of food and taste is further enhanced. -Fill water in pot before placing pot onto stove. Always use medium flame to heat up. Once heated, use low flame to cook in order to bring out the best flavor in cooking. -For double boiling, always use low heat after the water has boiled. This will allow the ingredients to be fully cooked and the soup would be highly nutritious and tasty. -Once cooked, off the fire to cool down pot before removing. As the pot retains heat, please use protective mittens when handling the pot. -Never heat an empty pot as this may damage the pot. -Avoid using metal utensils to avoid scratches. -When cooking starchy food, do not cook or leave it unstirred for a long period of time. -Use small amount of cleaning detergent to clean the pot. Always clean the pot immediately after use to prevent grease from sticking to the pot which will affect the pot’s performace. Do not use abrasive cleaners or heavy duty brushes which may scratch the pot. -Do not immerse the entire pot in water for a long period of time. 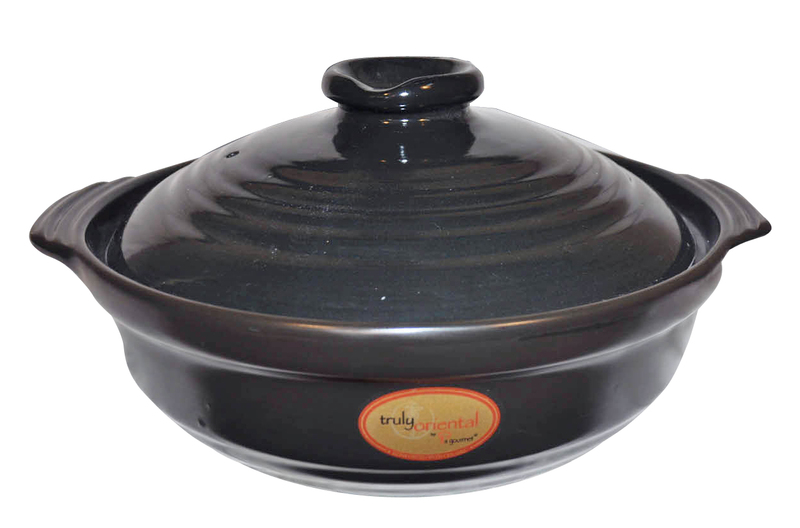 -Please handle the pot with care and it will give you many years healthy and aromatic cooking.